Overlooking the Garden Hills Pool & Playground from the 2nd floor of the Dan Martin Pool House is a 300 sq. ft, air conditioned event space with a sink, wi-fi and a 40″ television connected to Apple TV and all major tv stations including ESPN. 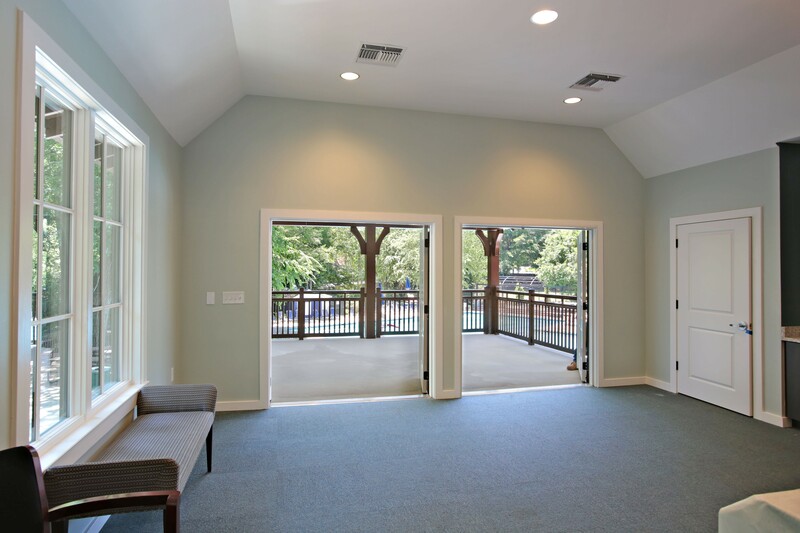 Accessible from the Garden Hills Pool as well as a stairway on the playground side of the Garden Hills Pool House, the event room has double french doors that open onto a covered deck with beautiful views. 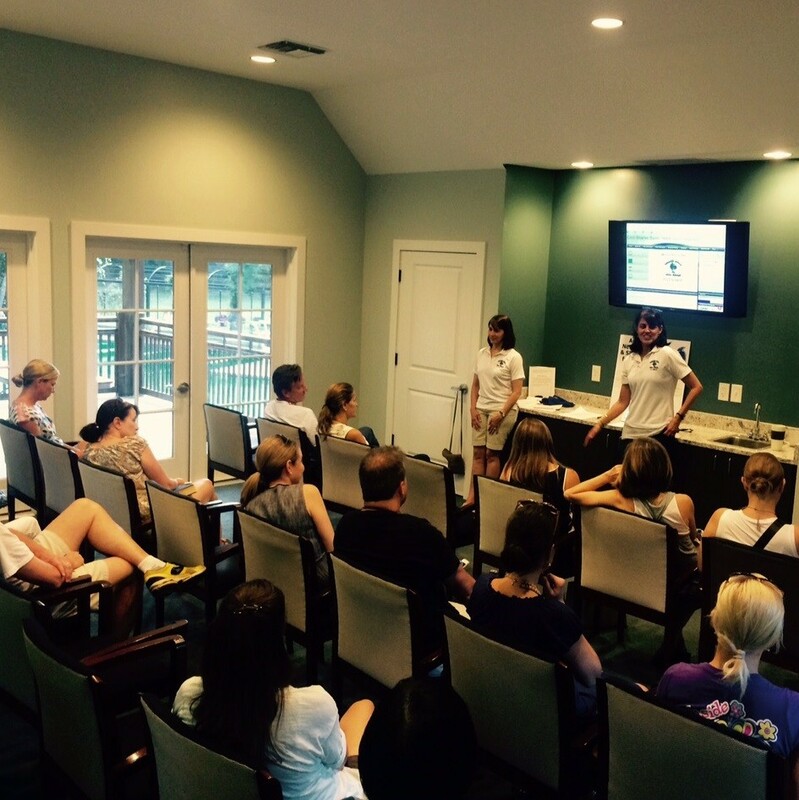 This special events room is ideal for birthday parties, business meetings and small functions. $50 per half hour with a minimum rental of 1 hour. Fees include the use of chairs and tables. Rental times include setup and takedown. Renters are encouraged to rent the room for at least 30 minutes before and after the actual event to allow for setup and cleaning. 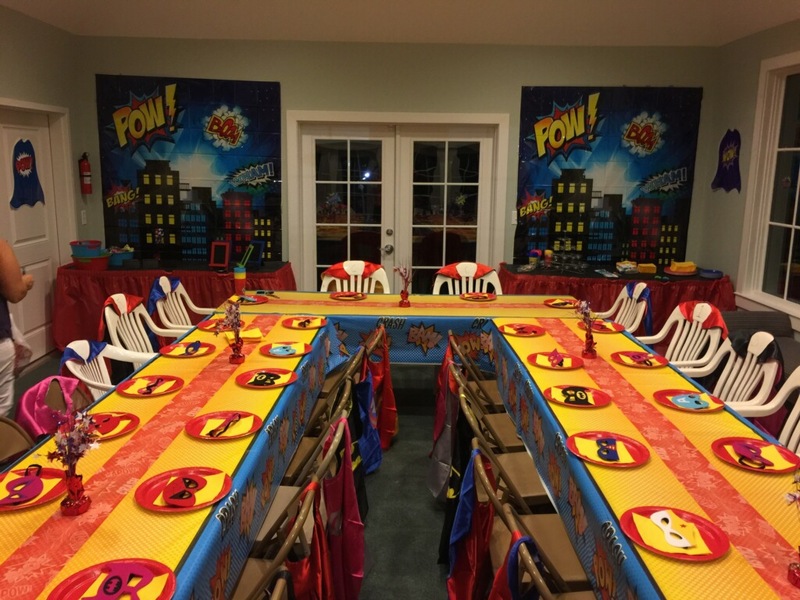 The room will be booked for other events and it is the renters responsibility to have it ready for the next patron at the ending time of their rental.